The Environmental Justice Foundation and Anti-Slavery International have called on the two clothing giants H&M and Inditex, owner of Zara, to end sales of products that contain Uzbek cotton. The two charities have stated that at harvest every year Uzbekistan closes its schools, forcing 200,000 schoolchildren into the fields for three months in complete violation of the children’s rights. A survey by the Independent World Report found that H&M and Inditex use the Bangladesh based company Beximco Textiles, a business which takes 45-50% of its cotton from Uzbekistan. This is not the first time that human rights charities have called for the boycott of Uzbek cotton. Nike, Gap, Levi’s, Marks & Spencer, Wal-Mart, Tesco and others have already banned the use of the country’s textile by any of its sub-contractors. 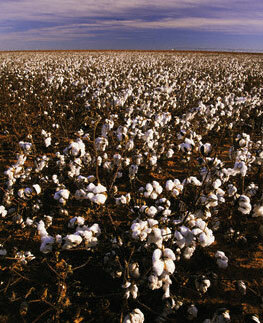 In the face of a growing dearth of trading partners, the Uzbek cotton industry was saved by the Dubai Cotton Center, which bought 100,000 tonnes of cotton from the former Soviet republic in 2008. Now, even though Dubai’s recent difficulties have affected Uzbekistan’s exports, the country is benefitting from the inherent difficultly in tracing cotton’s origins.